Click the button beside each description to see a picture. 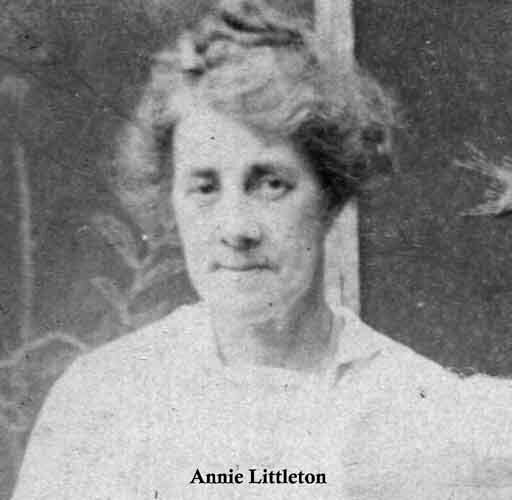 Annie Littleton was Mums mothers mother. 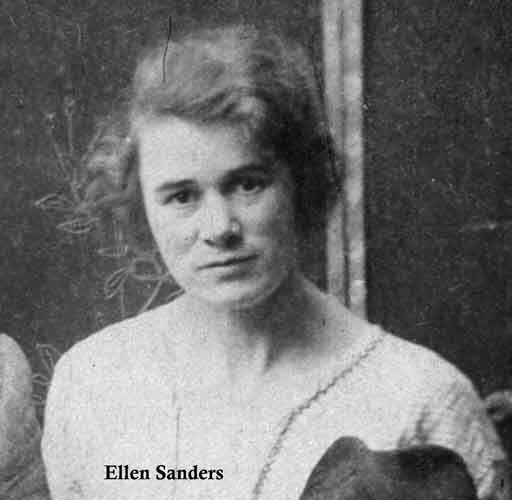 She was married to Henry Sanders jr. Her mother was Irish. Ellen Catherine Emma Sanders was Mums mother. She was married to Albert Christian Plumstead. 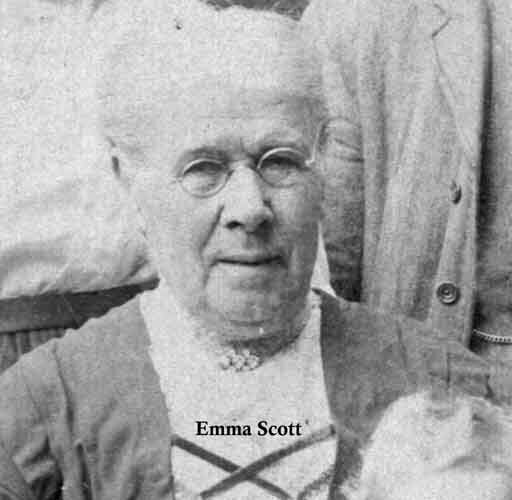 Emma Scott was the mother of Henry Sanders jr. She was married to Henry Sanders sr. 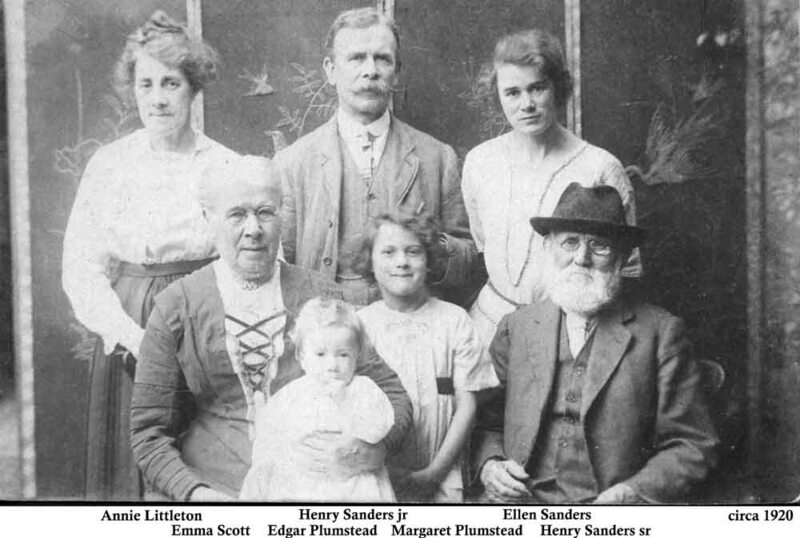 This family group shows Mum with her brother Edgar, their parents, Grandparents Sanders and a baby. 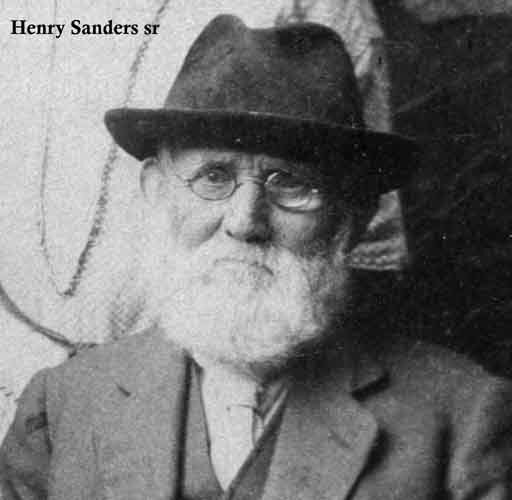 Henry Sanders sr married Emma Scott in October 1863 after eloping to London. 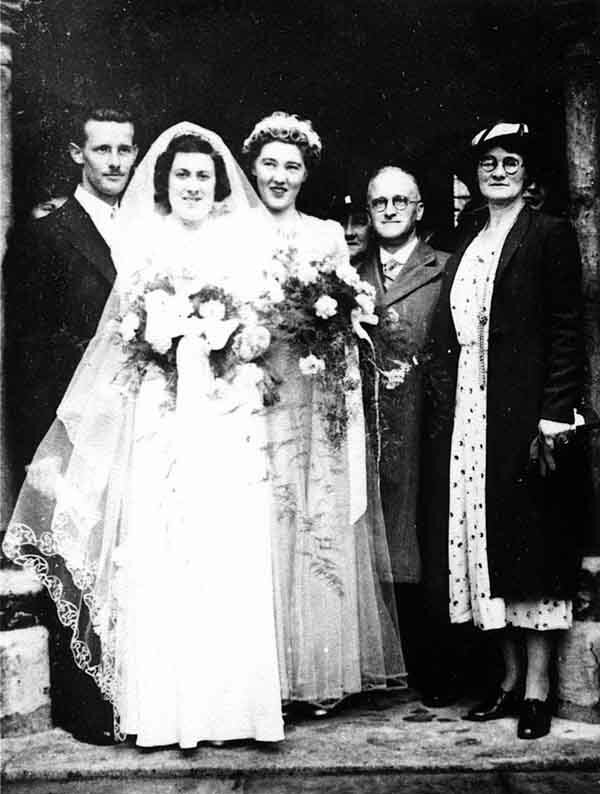 The marriage lasted 71 years! 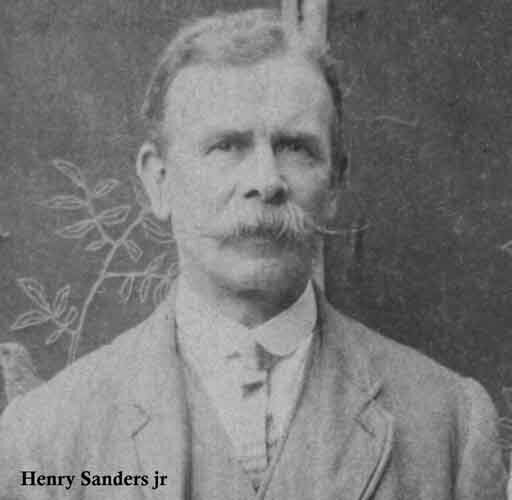 Henry Sanders jr married Annie Littleton in London, probably in the mid 1880s. 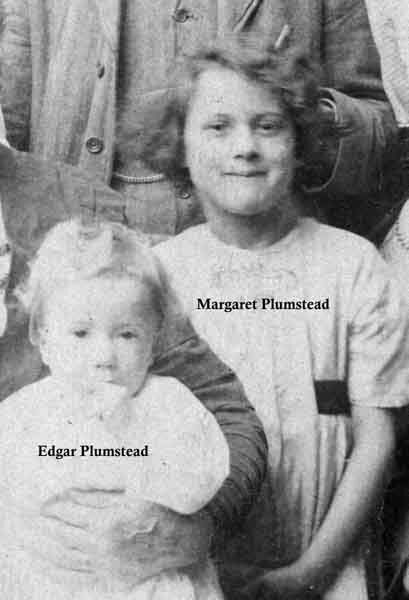 Margaret and Edgar Plumstead in the early 1920s. 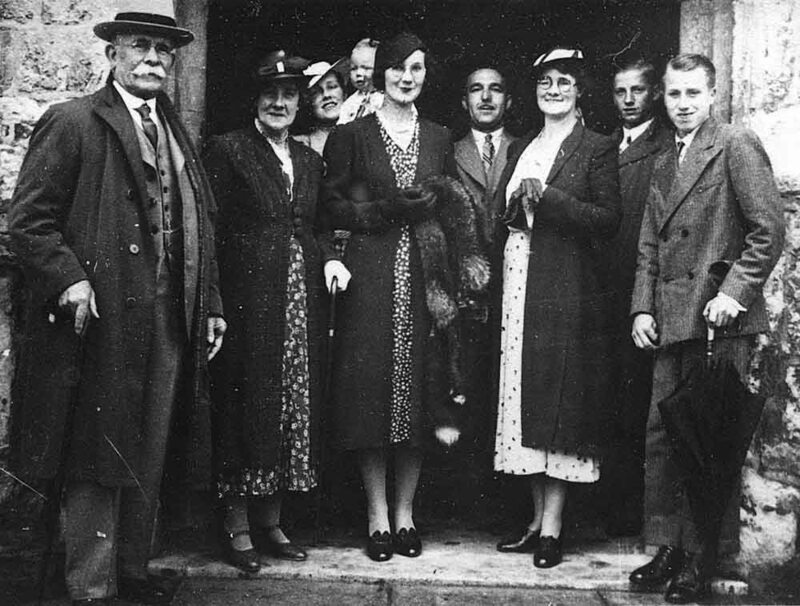 Guests at Mum & Dads wedding. 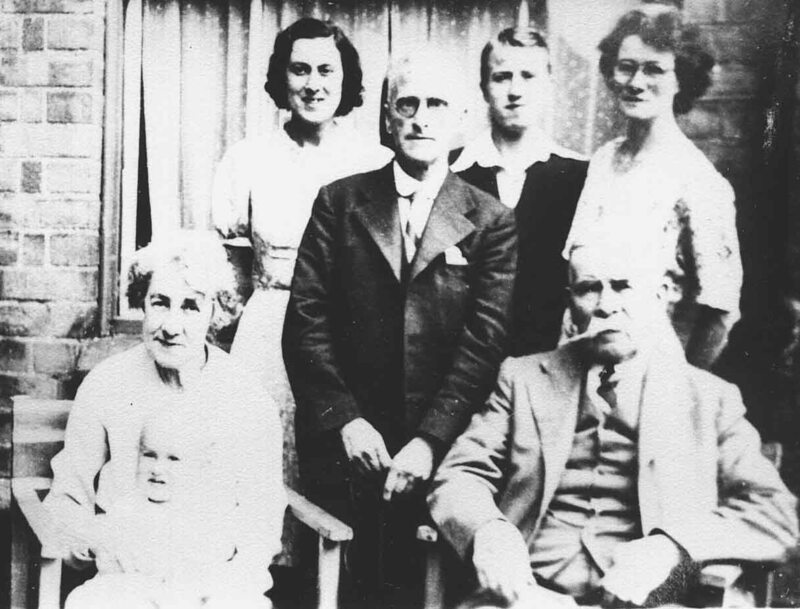 4 generations about 1920. See names at foot of picture.